EXECUTIVE COACH and CONSULTANT -- Mary Lee Gannon is an award winning certified coach, management development expert and author who helps leaders position their 'Executive Leadership Impact' to enthuse transformational change – the same change that took her from welfare to CEO of a $26 million organization. With more than 18 years of experience as a CEO, Mary Lee works as an Executive Coach and Consultant to create career and business solutions. She is an International Coach Federation Certified Coach, graduate of Duquesne University's Professional Coaching Program, a Certified Association Executive, an alumnus of the Harvard Medical School and McLean Hospital Coaching in Medicine & Leadership Conference, and author of two books: "Reinvent You – From Welfare to CEO" and "Starting Over". Her personal turnaround came as a stay-at-home mother with four children under seven years old who endured a divorce that took her and her children from the country club life to public assistance from where she reinvented her life to support her family. She is the recipient of the Woman of Integrity Award by Pittsburgh Professional Women, the Joe Gilbert Life Time Achievement Award from Pittsburgh Society of Association Executives, and the Leading Lady distinction by Oakland Catholic. She is a Leadership Pittsburgh XXV graduate. She has been featured in Money Magazine, NPR, Yahoo.com, U.S. News and World Report, msn.com, Forbes.com, CareerBuilder.com and the Pittsburgh Business Times. She presents regularly to national audiences on leadership, team development, executive presence, conflict resolution, business communication, entrepreneurship, coaching versus managing. Mary Lee has created programs from scratch and turned around many as well. Utilizing operational excellence strategies built on the Toyota Production model, identifying key metrics and building a team around those metrics has enabled her to create cultures for rapid change. This, along with her years of executive leadership experience working with large organizations in healthcare and other industries, is what she specifically brings to her coaching. She helps executives and leaders create accountability tools that result in a measurable difference in their own lives and the lives of those they lead. Mary Lee has led many teams, fundraising campaigns, programs and boards of directors, both in a professional capacity and in a volunteer leadership role. She is a graduate of Leadership Pittsburgh and has served the boards of Pittsburgh Planned Giving Council, Eastern Area Adult Services, Slippery Rock University Business Advisory Board, St. Lucy’s Auxiliary to the Blind and others. Strategic Direction, Executive Leadership, Mindful Leadership, Mindfulness in the Workplace, Management, Ethical Conduct, Emerging Leader, Effective Communication, Conflict Resolution, Employee Engagement and Development, Stress Reduction, Time Management, and Productivity. She is a Certified Association Executive (CAE) by the American Society of Association Executives; an Associate Certified Coach (ACC) by the International Coach Federation; and a Professional Coach (PC) by Duquesne University. Mary Lee has done corporate work for: Merrill Lynch, PNC, UPMC, Easter Area Adult Services, Crime Victim Center of Erie County, Pittsburgh Professional Women, Bedford County Chamber of Commerce, Volunteer Administrators of Southwestern PA, Carnegie Library of Pittsburgh. Additionally, she has provided services for HEARTH, New Choices/New Options, Dress for Success, Urban League of Pittsburgh, Employment Advancement Retention Network, Girls Scouts of Western PA, Workquest, One Vision One Life, McKeesport Employment and Training Network. She received her AAS Degree in Ophthalmic Dispensing from Ferris State University in Big Rapids, Michigan. 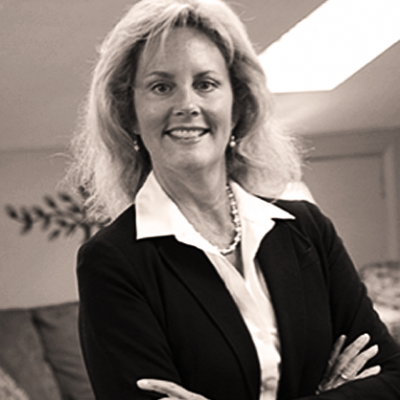 Mary Lee has served in the roles of president, executive director and president and CEO of non-profit organizations over the last 18 years with assets of up to $26 million and actively serves on the boards of directors of several non-profit organizations. She spearheaded Forbes Health Foundation which raised $10.4 million in two years on the heels of the AHERF bankruptcy, the largest hospital bankruptcy in U.S. history. She was hired as a turnaround agent at St. Margaret Foundation, a $23 million organization and was able to eliminate $600,000 in expenses in the first year, while increasing income 300% at the same time. As the Executive Director of a trade association, she learned to build consensus and advance mission in order to increase trade show attendance by 150% and membership by 40%. She is the past president of the Pittsburgh Society of Association Executives. Mary Lee’s leadership and dedication to volunteer service is evidenced by her tenure on dozens of non-profit boards of directors, specifically in the role of past president of Rotary Club of Fox Chapel Area, past president of Pittsburgh Society of Association Executives, past president of St. Lucy’s Auxiliary to the Blind, 2010 Chairperson of The Medallion Ball, and chairperson of the Development Committee for Hospital Council of Western Pennsylvania.